2 sons, 6 grandchildren, 3 great grandchild and one more on the way! Thanks for all the hard work on this site!! Hi Everyone! I am trying to get back into life again after loosing Carl. It was such a shock! Thanks for all the concerns I received. For the time being I will stay where I am, but may move into Red Bluff later on. Have moved into Red Bluff. Sold house to first people that looked. Loving my new place, easy to maintain. Kathy Gustafson Engel added a comment on her Profile. Kathy Gustafson Engel has a birthday today. New comment added. 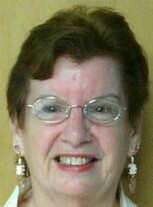 Kathy Gustafson Engel updated her profile. View. 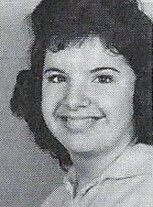 Kathy Gustafson Engel has a birthday today. Kathy Gustafson Engel posted a message. Happy Birthday, getting old is sure fun! Love you! Kathy Gustafson Engel posted a message. New comment added. Hope your Birthday was real special. Happy Birthday, Talk to you later! Kathy Gustafson Engel changed her profile picture. Kathy Gustafson Engel joined via Class Connection Facebook app.